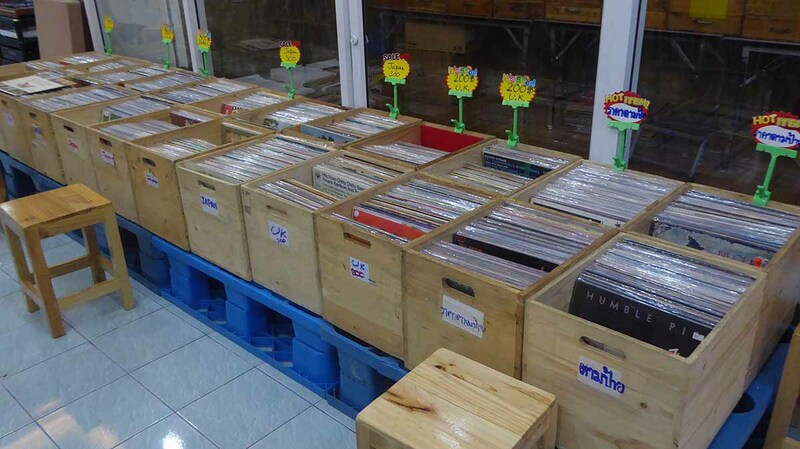 There are lots of Vinyl Record Stores in Bangkok feeding a vibrant local collecting scene. 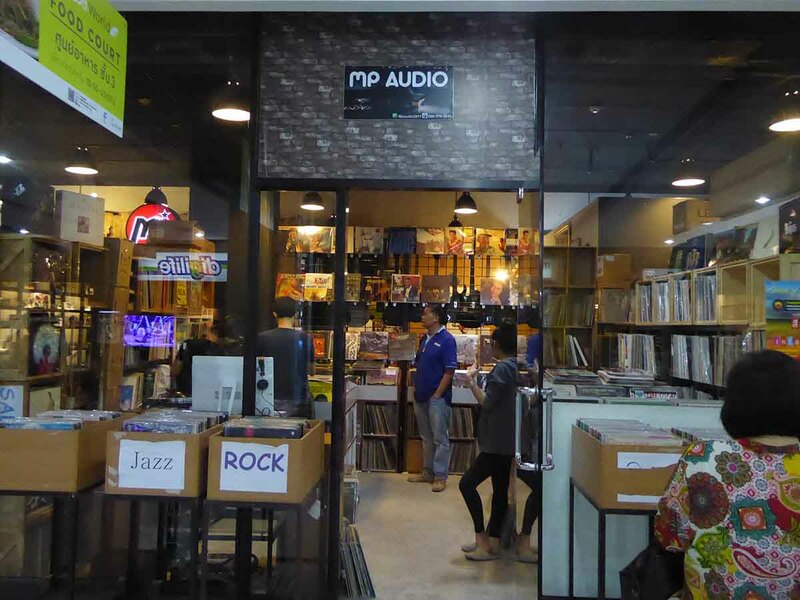 You can hunt for rock, pop, jazz, soul, blues, classical, alternative, Indie, metal, ’60s, ethnic, country, soundtracks, Broadway shows, and of course Thai. 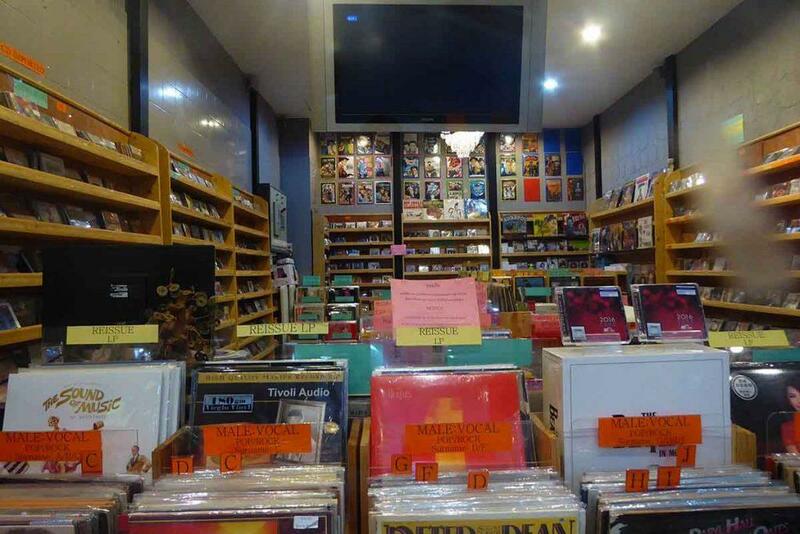 Check out our ultimate guide to Bangkok’s coolest record stores. Unknown Pleasures is in the Black Amber building above a barber’s shop of the same name in a small alley between Thonglor Soi 5 and 7. Ascending a narrow staircase to the 4th floor you will find the shop, which specializes in alternative music with a great choice of 90’s Brit-Pop, American alternative rock, 80’s Indie, 60’s/70’s Psychedelic, and rock/pop from the 60’s to the current day. 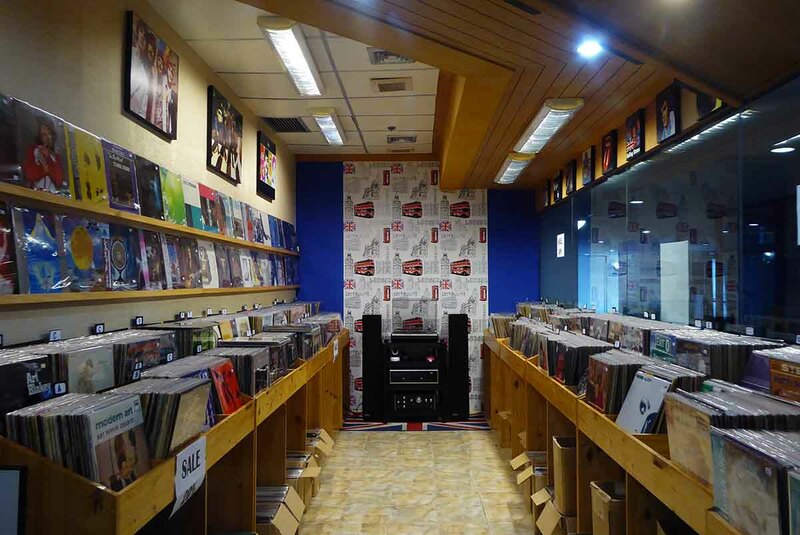 There are also sections on folk, Jazz, Soul, Disco, World Music, and soundtracks. Almost everything is on vinyl, both 7”, 12” and LP including many original issues and collectible items. 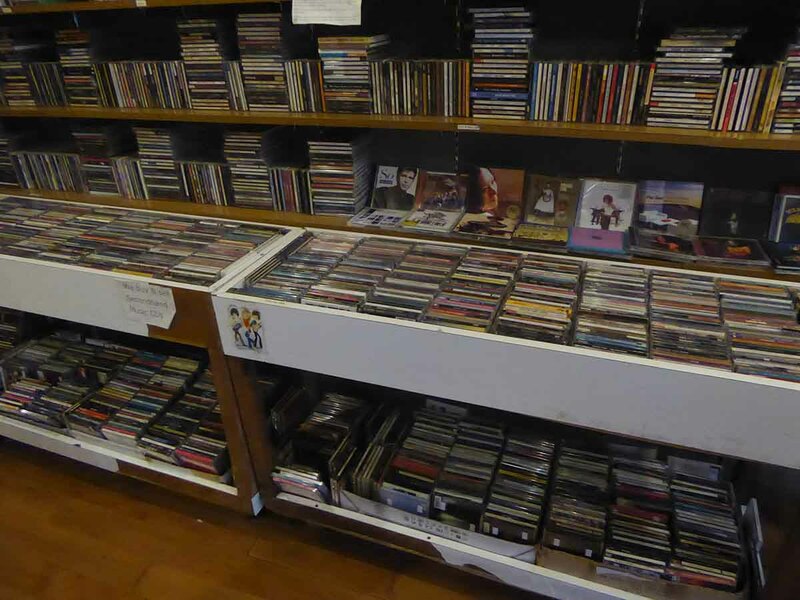 There is a small choice of CDs and music books. 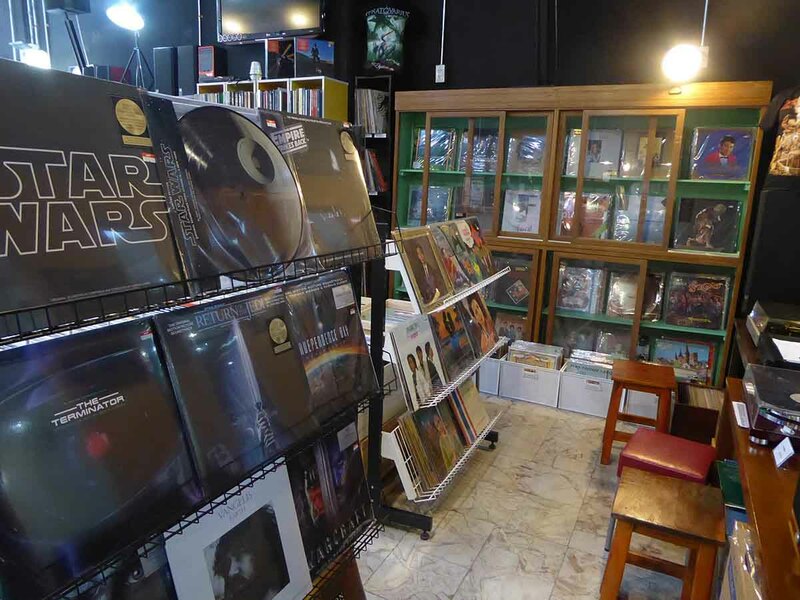 Vinyl prices range from 100 baht through to over 5000 baht for rare collectibles. Outside the shop is a small rooftop patio which hosts occasional performances by both local and International Indie artists. Admission limit is 40 people and tickets cost from 100-200 baht. Check the shop’s Facebook page for details of upcoming shows. Location: 4th FL, Black Amber Building, Sing Waet Lom Alley, (between Thonglor Soi 5 and 7), Sukhumvit Soi 55 (Thonglor), Bangkok. Getting There: BTS Thonglor (exit 3), then turn left into Soi 55, then 10 min walk, taxi or red minibus. 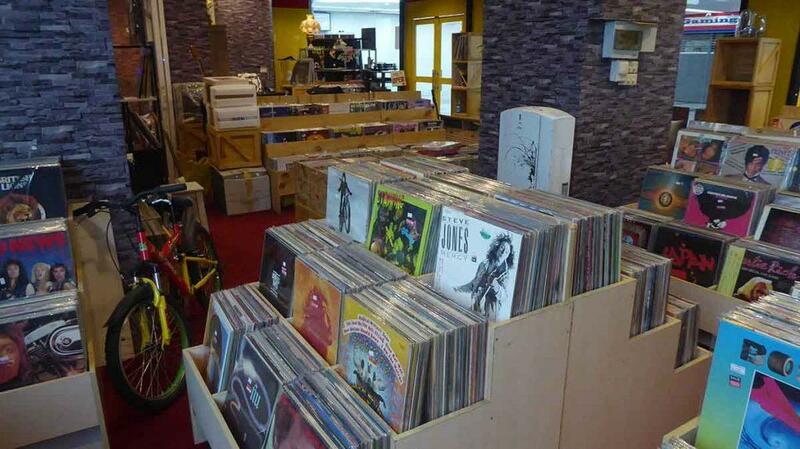 8 Musique sells mainly vinyl albums (new and 2nd hand) as well as box sets and CDs. There is a good choice of all music styles from the’50s through to modern-day with some collectible items. 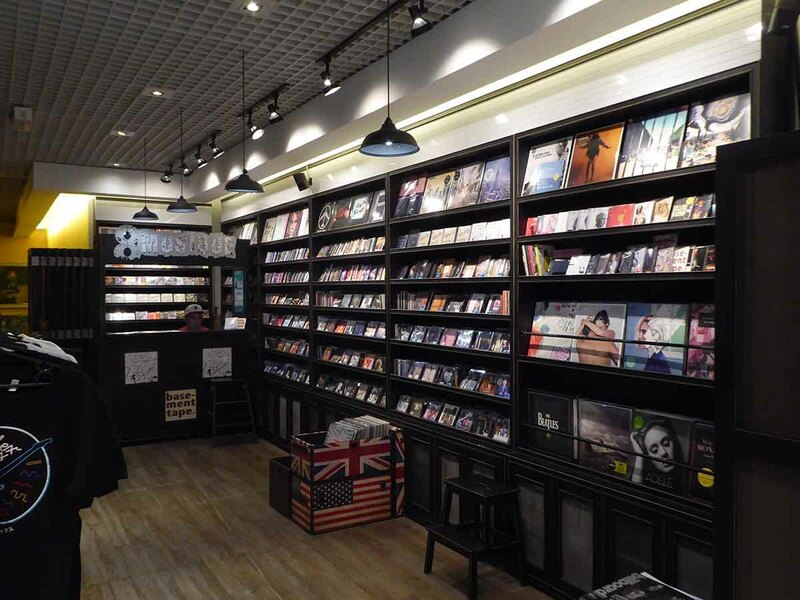 8 Musique is on the lower ground floor of the eight building in Thonglor next to Foodland supermarket. Location: LG Floor, The Eight Thonglor Building, 88/36 Sukhumvit 55 (Thonglor). Fortune Town is primarily an IT Mall though recently the 3rd floor towards the Mercure Hotel end of the mall has become something of a Vinyl music mini-mall. 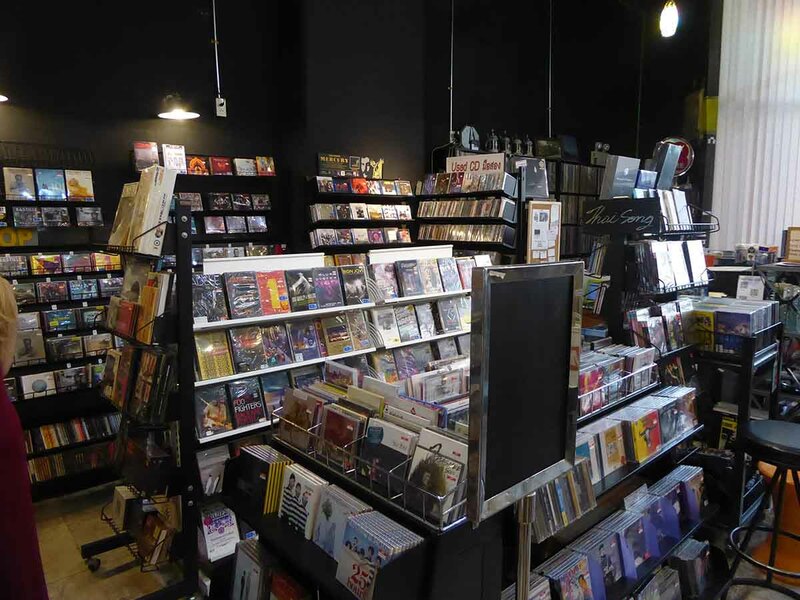 A whole cluster of shops recently opened here stocking new, collectible and second-hand vinyl, new and used CD’s, Audiophile CD’S, concert DVD’s, turntables, and audiophile Hi-Fi. 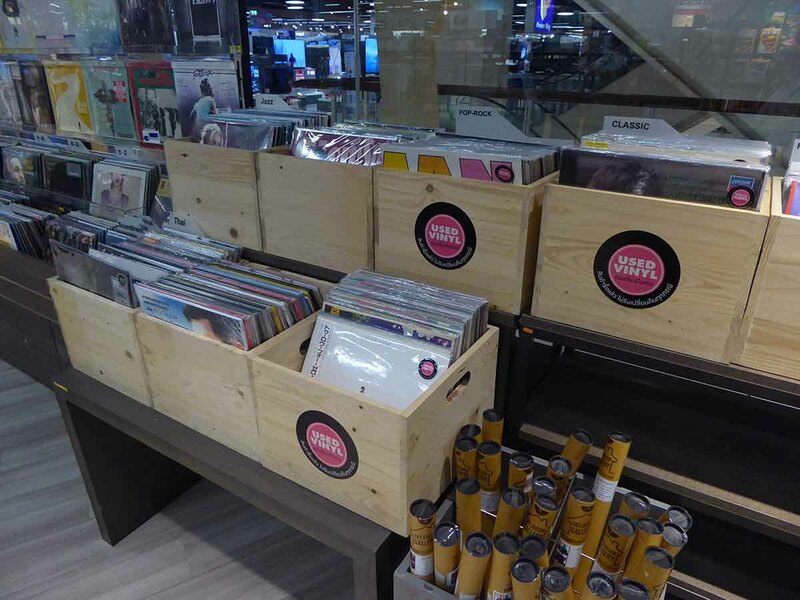 All shops have turntables so you can listen before you buy. Minilop stocks new and second-hand vinyl and CD’s as well as box sets, music DVDs, and accessories such as record storage boxes. All types of music including classical. MP Audio stocks vinyl only with a large choice of all styles especially Jazz as well as 2nd hand guitars. 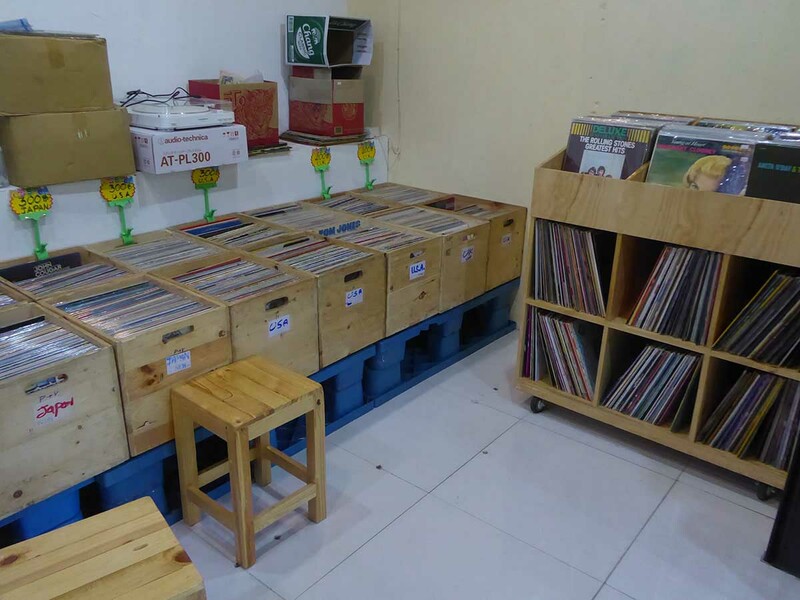 UPZ sells vinyl and CDs out of crates mainly stacked on the floor (stools provided). Crates are mostly labeled by the country of origins such as Japan, UK, Thailand, and the USA as well as by genre. 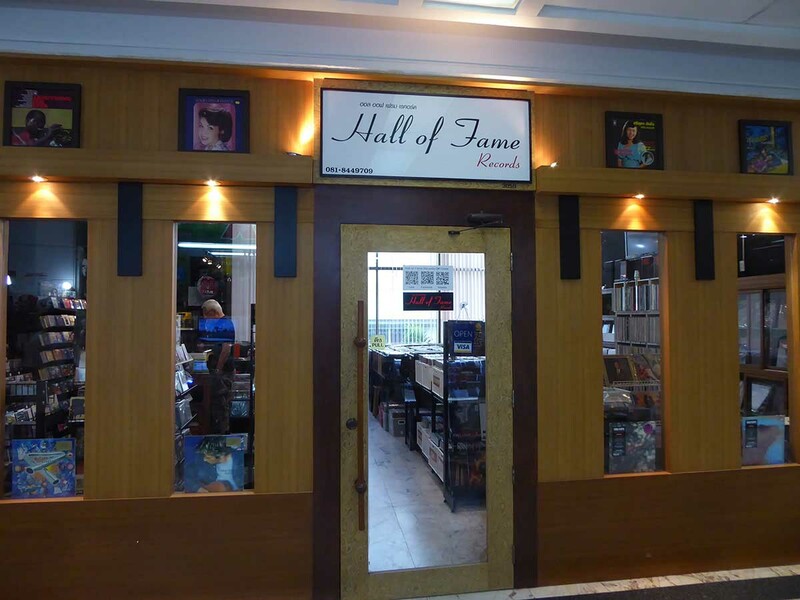 Hall of Fame is one of the biggest vinyl record stores in Bangkok with a large choice of second-hand and new vinyl. 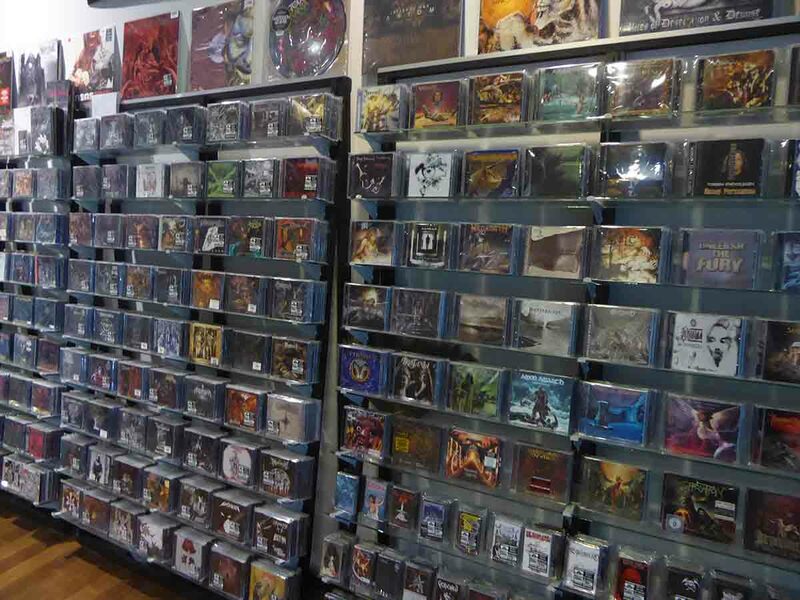 They also sell new and used CD’S, music DVD’s, box sets, t-shirts, protective sleeves, mailers, headphones, and turntables. Most of the vinyl is second-hand. Every genre of music features including classic rock, alternative, pop, metal, progressive, Jazz, blues, country, classical, and soundtracks from the 50’s to the present day. Hall of fame is open from 13.00-20.00 daily. 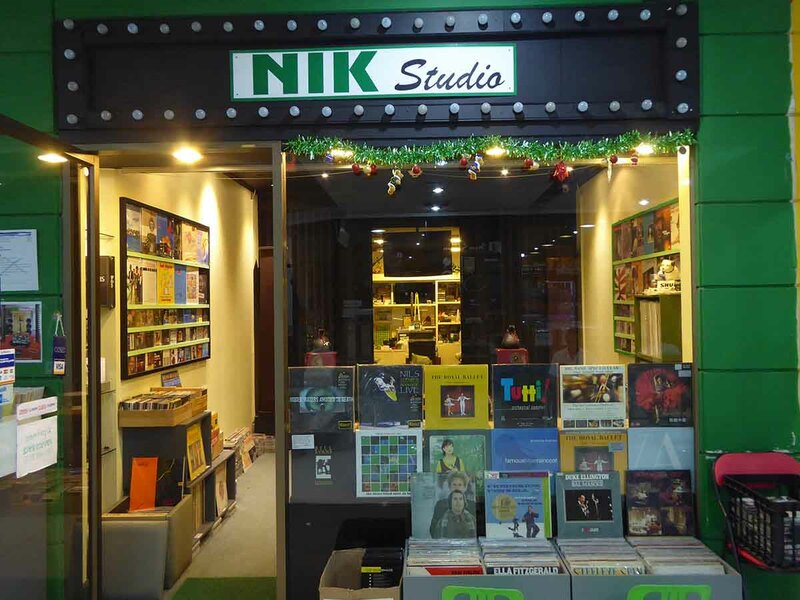 Nik Studio stocks vinyl and CDs with the emphasis on Jazz, 50’s/60’s, classic rock, folk, classical, orchestral, big band, Broadway musical and movie soundtracks. They have some Pre-recorded open reel 4 track tapes from the 70’s and even antique Tascam & Ampex machines to play them on. 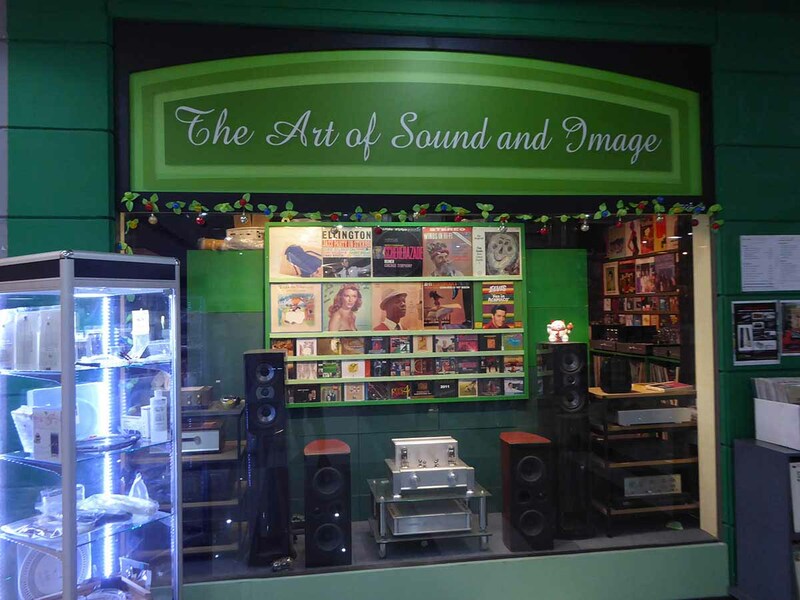 There is an attached audiophile shop selling high-end audio including turntables. The shop is open daily between 11.00-20.00. 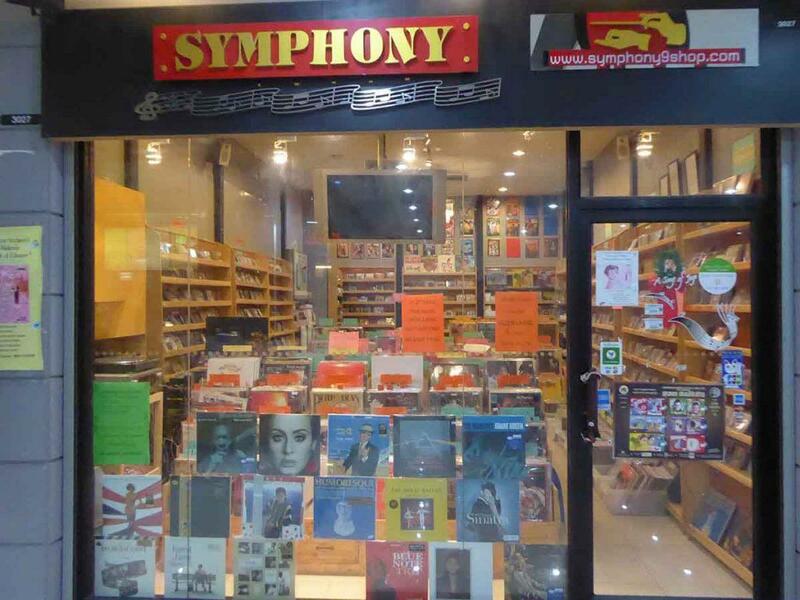 Symphony sells second-hand and new vinyl, cassette tapes, and CD’s specializing in Jazz, Classical, Symphony, Blues, Easy listening, pop-rock, soundtracks, and Broadway shows. They also stock DVDs of classic movies and Broadway shows. The shop is open from 13.00-19.00 daily. 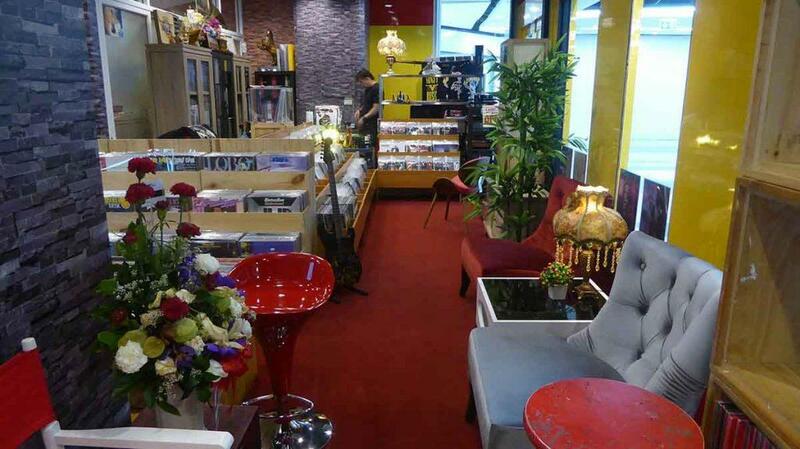 Vinyllica is one of the biggest and best vinyl record stores in Bangkok. 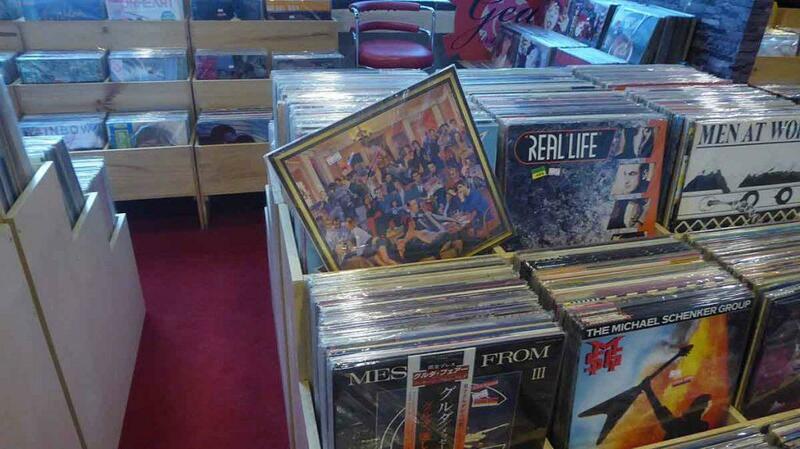 Unlike the other record stores in Fortune Town it can be found on the 2nd floor at the Mercure Hotel end. 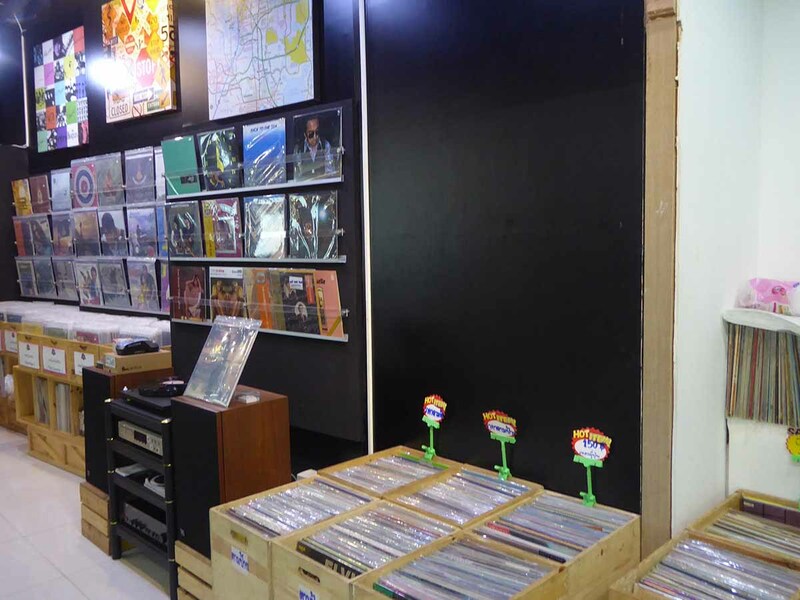 The shop is probably the biggest vinyl store in Bangkok with thousands of albums both used, and mint originals as well as a good choice of new Re-issues. 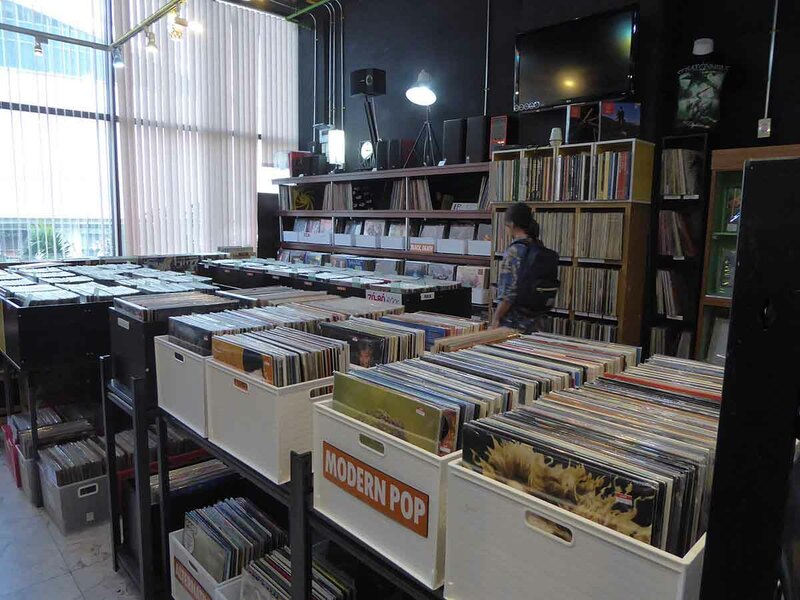 The stock runs from the ’50s through classic rock to the ’90s and more recent stuff. The 80’s choice is particularly good with a lot of hard to find releases. The shop is nicely laid out with sofa’s, a drum kit and guitars on view while the stock is well-organized and easy to navigate. 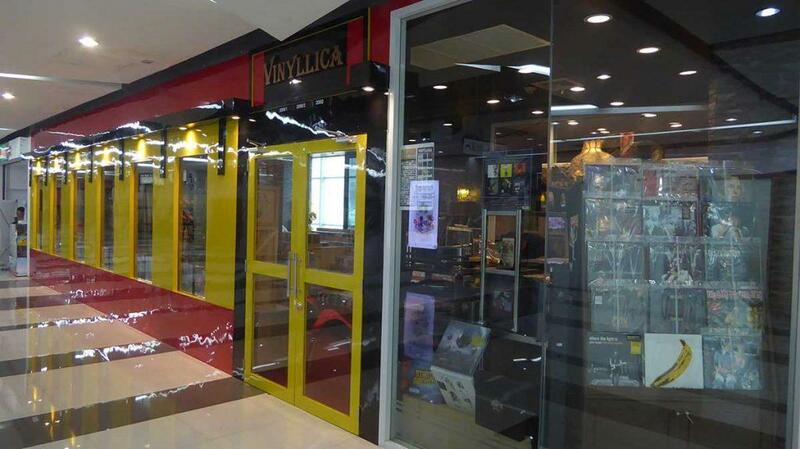 Vinyllica is open from 12.00-20.00 daily. Prices start at around 100 baht with most albums going for 300-800 baht. P&P Audio seems to share stock with UPZ selling vinyl and CDs out of crates mainly stacked on the floor (stools provided). Crates are mostly labeled by the country of origins such as Japan, UK, Thailand, and the USA as well as by genre. Location: 2nd/3rd floor, Fortune Town, 1 Ratchadaphisek Road, Bangkok. 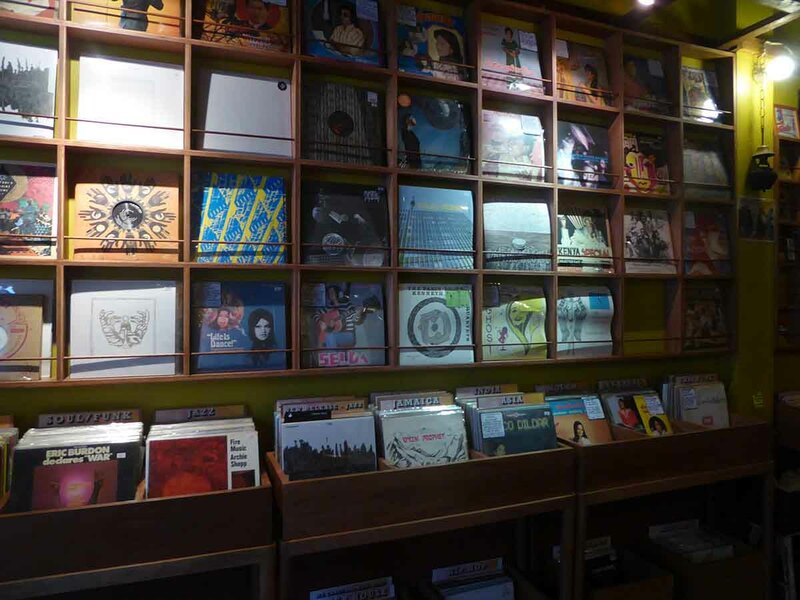 Opening Hours: Most of the record shops open at 11/12.00 and close at 20.00. Daily. Audio Minute is in the Thaniya Plaza “golf mall” on Silom Road. The shop has a good choice of new and second-hand vinyl including Jazz, classic rock, and 80’s pop arranged alphabetically. 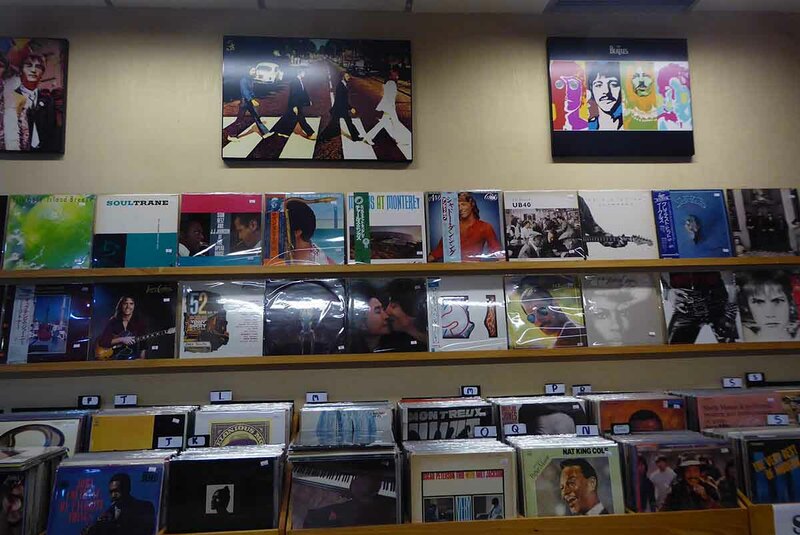 There are also many Japanese pressings. The shop is in the main plaza rather than the new wing that connects to the BTS station. Location: 4th Floor, Room 445, Thaniya Plaza, Silom Road. Opening Hours: 12.00-20.00 Monday – Saturday. 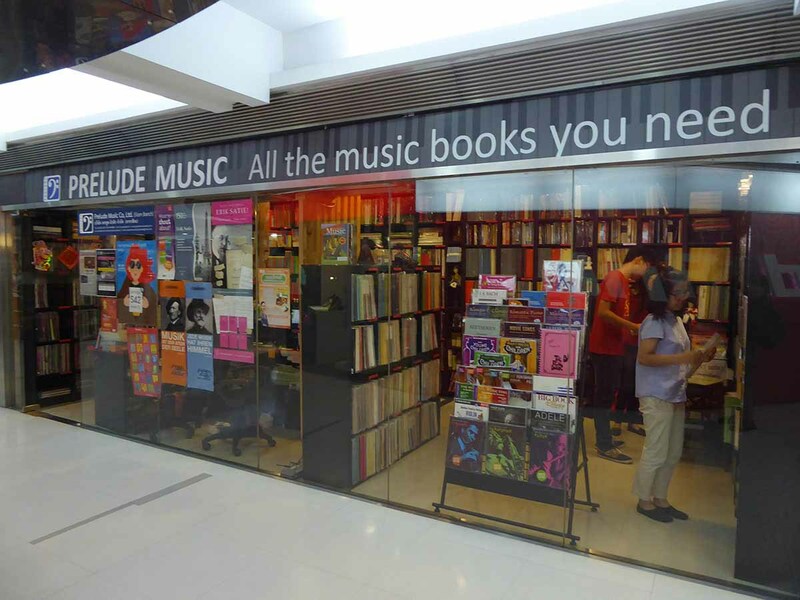 Prelude doesn’t sell music but music books and has the biggest choice in Bangkok. You won’t find biographies here but music theory, sheet music, scores, lyrics and tutorial books. Prelude can be found in the BTS connected wing of Thaniya Plaza. Location: 3rd Floor, Room 315, Thaniya Plaza (BTS Wing), Silom Road. 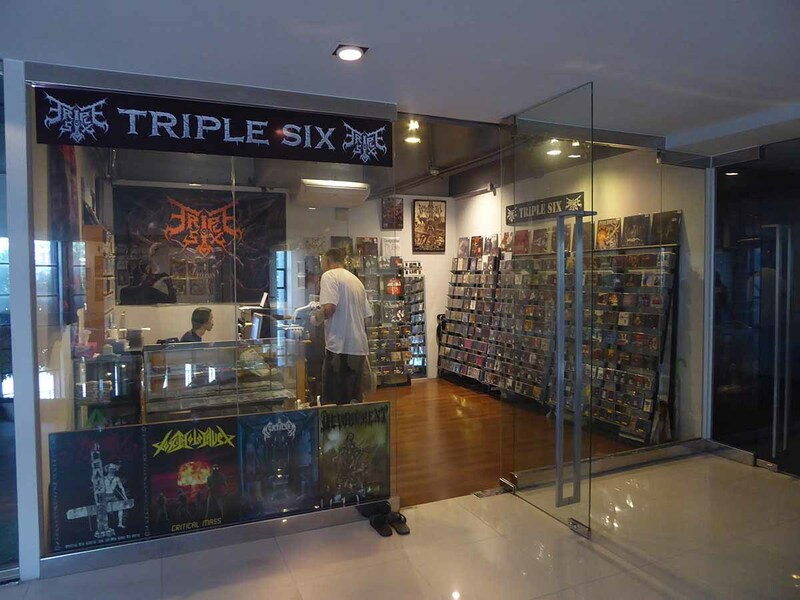 Triple Six is all about Metal music and stocks a wide choice of both new and used vinyl, CD’s, DVD’s, tapes, and box sets as well as patches, hoodies, t-shirts, posters, magazines, fanzines, old gig tickets, hats, Jewellery and more. There are many rare and collectible items and lots of Imported stock. Triple six are also promoters of metal gigs in Thailand by both local and International metal bands. 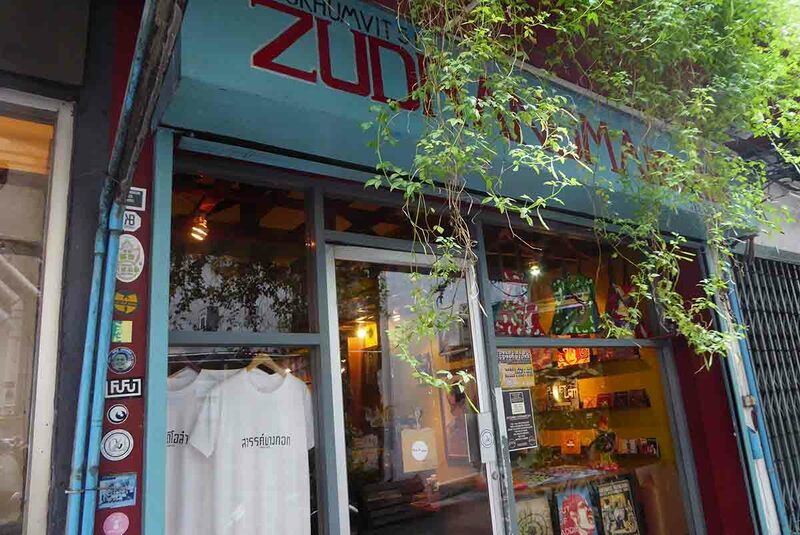 Zudrangma is one of the most well-known vinyl record stores in Bangkok. 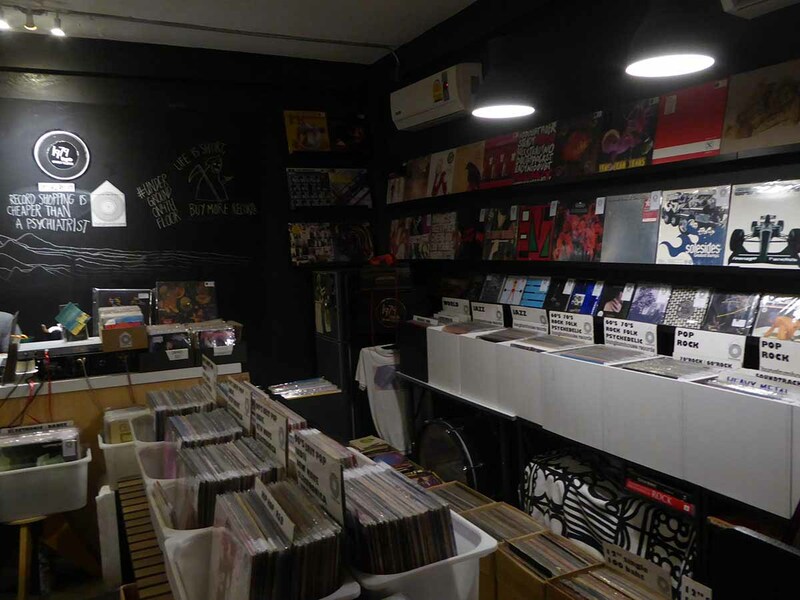 It sells rare and collectible vintage vinyl as well as CD’s and specializes in Thai Molam, Luk Thung, funk, reggae, dub, jazz, soul, disco and world music. The shop also runs Studio Lam, a live music venue which is next door. There is also a vintage clothes shop upstairs. 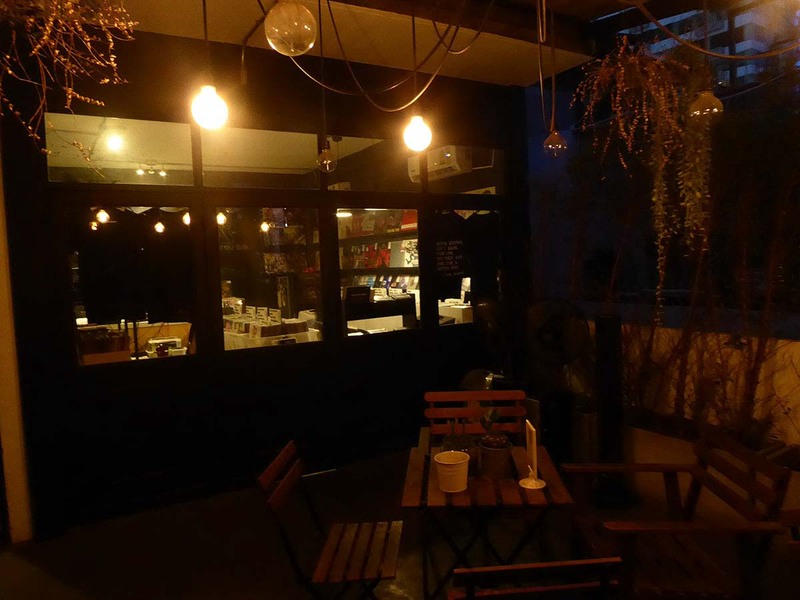 Location: 7/1 Sukhumvit Road, Soi 51, Bangkok. Opening Hours: 14.00-21.00 Tuesday-Sunday only. Getting There: BTS Thonglor Station (exit 1). Then 5-minute walk. B2S is a chain that retails books, stationery, office supplies, and entertainment media. 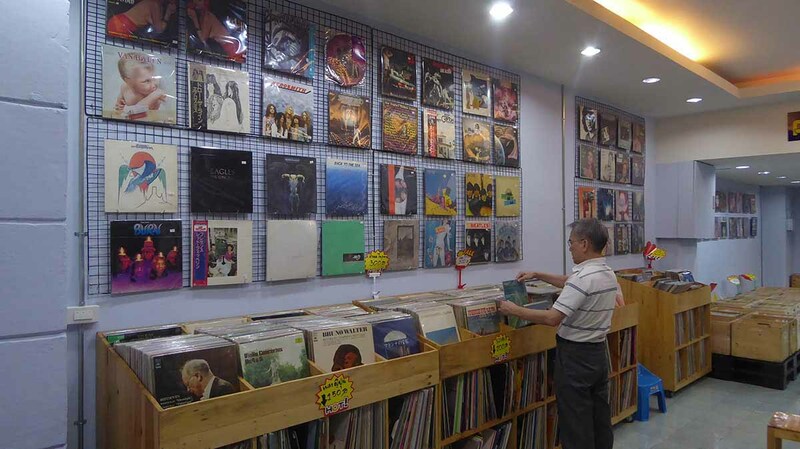 The Central World branch has a good choice of both used and new vinyl as well as CD’S, DVD, audiophile discs, box sets, posters, and turntables. 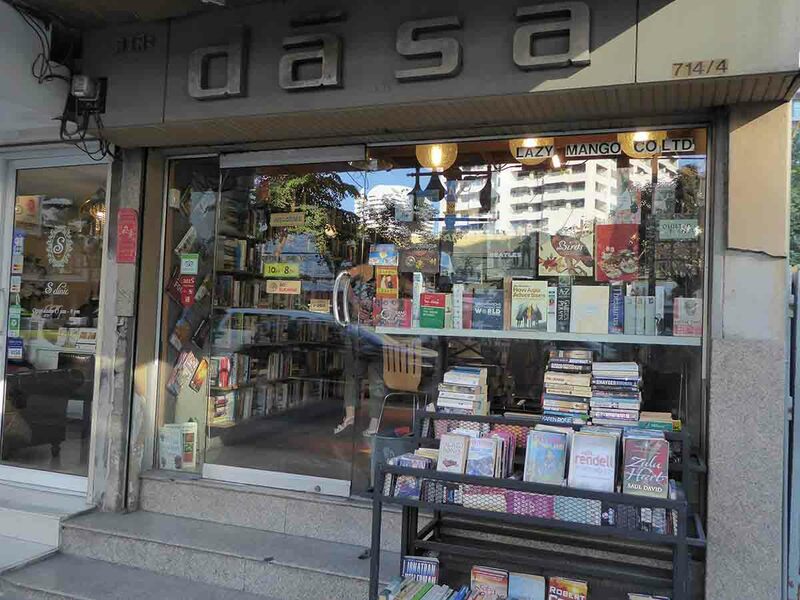 Dasa Book Cafe is primarily a used book seller but also sells used CD’s. There is a decent choice on the ground floor of the shop. They also buy used CD’s. No vinyl. 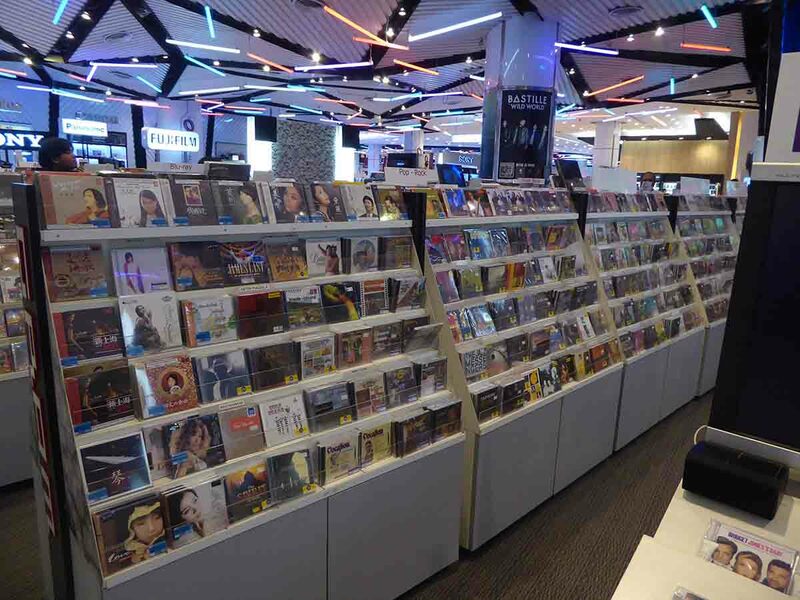 Gram Music on the 4th floor of the Siam Paragon Mall has a large choice of Imported and domestic CD’S, concert DVDs and movies. 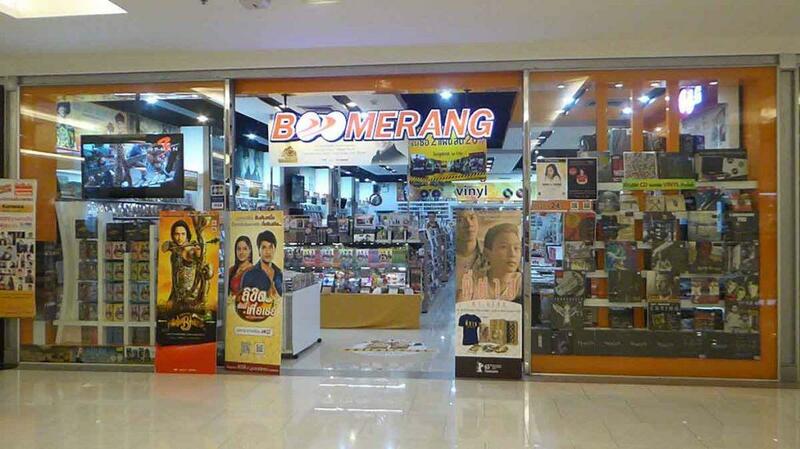 Boomerang which is primarily a DVD retailer stocks new vinyl releases and classic re-issues at its 4th Floor Central World store.